I limp from the small blind with . Satori raised 3x the big blind and I called. I like to defend around 60% of my hands from the small blind against a big blind raise. The flop is , putting me in a great position to check-raise with a flush draw and a gutshot straight draw. My opponent c-bets 40 and I decided to check-raise around 4x his bet. I like doing this with most of my value hands and draws in this situation. I bet 140 and Satori called. The turn is a , the second jack on the board, and is one of the few turn cards where I would not like to follow-up with another bet. 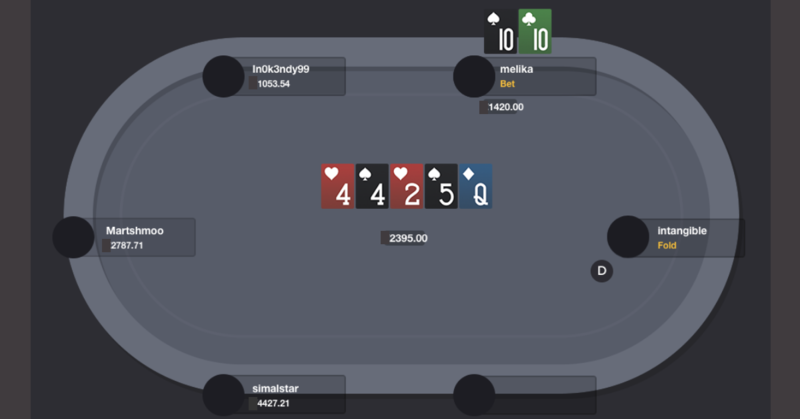 Too often my opponent has a jack after bet-calling the flop, plus my hand still has a lot of equity and is good enough to check-call on the turn. I have 13 outs and can check-call and bluff-catch on the river when I hit. Satori checks back, and the river is a . The river gives me a pair of nines. Now I have showdown value and will most likely win if the river goes check-check. I can bluff-catch by check-calling against my opponent’s missed draws so there’s no point betting the river. I checked, Satori checked behind, and, as expected, I won the pot. I isolation-raise In0k3ndy99, who limped 25 from under the gun, with to 4x the big blind. Three players called and we go to the flop. The flop is giving us a flush draw. 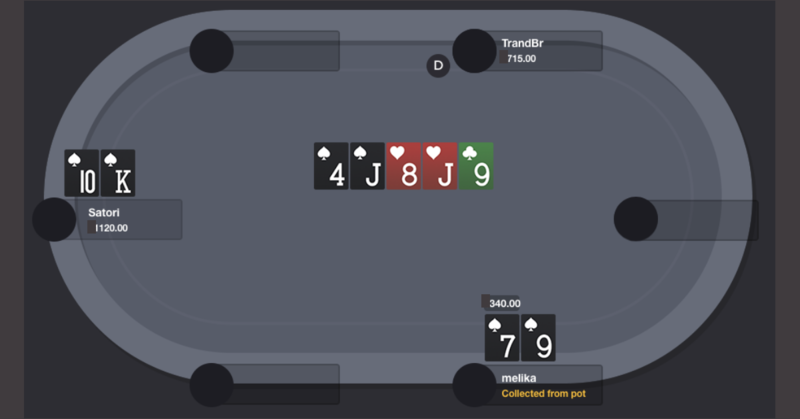 I raise a small donk-bet from Martshrmoo after he bets 25 into 255. The reason behind this move is simple: I believe I have the best hand. The player in position, intangible, calls me and the donk-bettor folds. We make it to the turn which is a . Now there’s a double flush draw on the board. I still think I have the best hand, and I assume that the player in position would re-raise me pre-flop with a higher pair. Plus, intangible wouldn’t have too many fours in his calling range. I bet 725 and intangible calls again. The river is a and both flush draws have been missed. Here I think I made a mistake by betting again since there’s not so much to get value from. Pocket pairs would probably fold to my bets, and intangible will have a lot of missed draws we could potentially get value from instead. I bet 1,420 into the 2,395 pot. intangible folds to my river-bet, which is great but I might have missed out on bluff-catching against a river-bet. In retrospect, I think this is a typical check-calling spot on the river.